As an application developer at Loligo Systems you will work in an informal atmosphere in a small organization with a flat hierarchy. Referring directly to the managing director you’ll be located in our offices in Viborg, Jutland. As a part of a small team you will use your skills in mathematics, logic, and a passion for code-based programming. You are managing your own IT projects, like translating algorithms (e.g. from MathLab) to .Net code, updating current software programs with new features/functions, and taking part in R&D projects with a team of experienced developers and biologists. The job will challenge your skills in developing user-friendly data acquisition & analysis solutions for our many scientific customers. You are of course updated with the latest technological developments. Experience with video image analysis is an advantage, but not a requirement, and so is experience with hardware device communication. JKS CAREER is handling the recruitment process on behalf of Loligo Systems. For additional information please contact Branch Manager at JKS CAREER Søren Seltoft at +45 3085 1290. We process applications on a continuous basis so please send your application, CV and other relevant documents as soon as possible but no later than the 6th of August 2018. 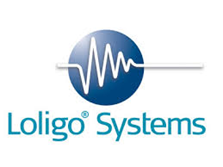 Loligo® Systems was founded in 2002 as a spin-off from University of Copenhagen, Loligo® Systems is a privately owned company with AAA credit rating and positive growth rates since the beginning. We develop unique measurement equipment for bio sciences. Products are mainly sensors, instrument and software for automated data acquisition and device control in lab environments. Loligo® Systems is the only company world-wide to conceptualize and manufacture automated systems for aquatic respirometry (i.e. devices for measuring oxygen consumption rates in aquatic organisms like fish or invertebrates). Clients from universities and government labs in more than 60 countries currently use Loligo® Systems products for a number of research applications, so far resulting in more than 500 peer-reviewed scientific papers in international journals referring to the use of Loligo® Systems equipment.